I am so grateful to work with amazing people who truly make my job a dream. 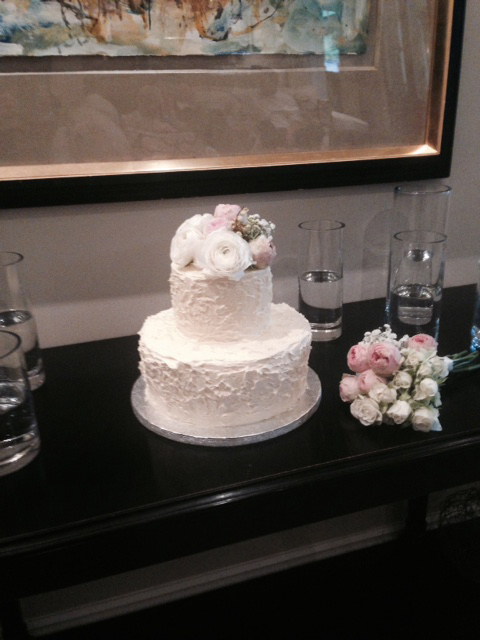 Sharleen organised her son and daughter-in-law’s wedding cake for their October wedding this year, and made my day by sending through the following testimonial for me to share. Thank you so much Sharleen for being an absolute delight, and for your very kind words! 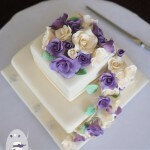 It was stressful being in charge of the cake as I had thought about making it myself but it became clear that it was not a good idea for me to take this on, so I engaged Bonnie’s Cakes and Kandies and was so very glad I did. 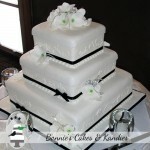 From the very first email I sent to Bonnie’s Cakes and Kandies, I have felt confident and secure that they would deliver an amazing cake for my son and new daughter in-law’s wedding. 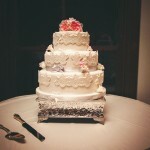 I was not let down, the cake was exactly as my daughter-in-law wanted and the taste was divine. 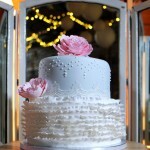 I might even say perfect, my partner is not a cake person and he thoroughly enjoyed a couple of pieces, not normal for him. Bonnie is such a warm and wonderful person and so very easy to deal with, she took away all my stress and let me just enjoy the lead up to the wedding and the wedding day itself, for this I am eternally grateful. Everything was taken care of. She co-ordinated with the florist who was making the decoration and she also made the delivery to the wedding venue itself, leaving me to only worry about getting the boys to the ceremony on time. 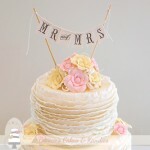 I have more children yet to get married and will definitely be getting Bonnie to make cakes for them all, she was an absolute pleasure to deal with and I highly recommend her work and her customer service skills which are outstanding. She goes above and beyond to make you feel like a special customer, congratulations. Thank you so much Bonnie you’re a star to me. 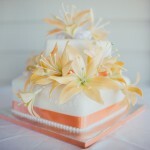 Rustic, rough-iced buttercream wedding cake in white chocolate mud, and choc fudge tiers, with fresh flowers on top. Photo supplied by Sharleen.